LONDON - The Office of the Qualifications and Examinations Regulator (Ofqual) has selected LIDA to overhaul its online communications. LIDA's appointment follows a pitch handled by the Central Office of Information and the agency has been awarded the strategy, design and build brief for the regulator's website. 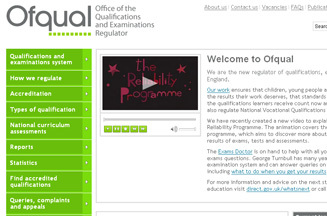 Ofqual, the new Government qualifications regulator, has briefed LIDA with creating a more social way of communicating with the public as well as internally at Ofqual. The appointment is initially for a period of two years.